The HCG Diet can be challenging if you have a busy social, business or family life. 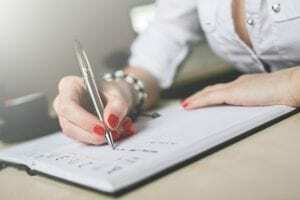 For those that cannot find a stretch of time where they can focus on the protocol for the complete length of a round, there is an option to take a break, or planned interruption. Dr. Simeons calls this an “unforeseen interruption.” That infers that this not an optimum situation, but it is one that can be handled with little to no damage to your round. If done correctly, you can take a break of up to 2 weeks within the low-calorie diet phase without affecting the success of the diet. The following quotes are taken from the instructions for this option in the protocol. What are the steps to start an interruption? Excerpt from Pounds and Inches, the Original Hcg Diet Manual by Dr. Simeons: Chapter 62, Unforeseen Interruptions. When a patient knows beforehand that he will have to travel and be absent for more than four days, it is always better to stop injections three days before he is due to leave so that he can have the three days of strict dieting which are necessary after the last injection at home. This saves him from the almost impossible task of having to arrange the 500 Calorie diet while en route, and he can thus enjoy a much greater dietary freedom from the day of his departure. What this means is that to do an interruption, you do need to plan ahead a bit. 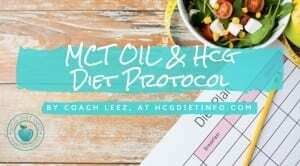 You will transition off your HCG injections in the same way you do at the end of a round: stop the HCG, but continue the 500 calorie diet for 72 hours following the last dose. At that point, your interruption will begin. Once you have started the interruption, you must be on it for a minimum of 5 days (and a maximum of 2 weeks) before resuming Phase 2. What can I eat during the interruption? If an interruption of treatment lasting more than four days is necessary, the patient must increase his diet to at least 800 calories by adding meat, eggs, cheese, and milk to his diet after the third day, as otherwise he will find himself so hungry and weak that he is unable to go about his usual occupation. The interruption is not a license to go wild, in fact the instructions limit you to increasing healthy proteins that incorporate some fat. Over time, we have observed that most people are successful by following the Phase 3 guidelines in a planned interruption, that is, eating what they like except for starch and sugar, but being mindful of satisfaction levels, and careful about alcohol consumption. Note that only a minimum calorie level is given. You do not have to restrict calories on an interruption. How Do I End the Interruption? Excerpt from Pounds and Inches, the Original Hcg Diet Manual by Dr. Simeons. If the interval lasts less than two weeks the patient can directly resume injections and the 500-Calorie diet, but if the interruption lasts longer he must again eat normally until he has had his third injection. If observing the 2 week limit for the interruption, there is no need to repeat the loading phase (P1.) You can resume the injections and the low-calorie diet the next day. 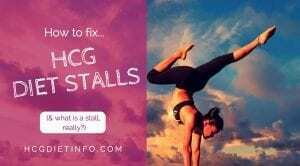 However, if the interruption lasts longer than 2 weeks, it will require the same 3-day build up of HCG in your system as when starting a new round. There is a logical way to do this without creating more unnecessary weight to lose. Start the HCG injections but continue your P3 style eating with an emphasis on fats for two days. On the third day, you would resume your round. Note that combined with the first part of your round, you are still limited to a maximum of 40 dose days. This is mostly to avoid immunity to the Hcg hormone. 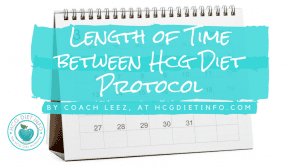 When Can I do an interruption during my Hcg round? The first 3 injections are considered “ineffective,” so by the 23rd dose day, you have had enough of the HCG benefits that interrupting your round at that point will not affect your results or your stabilization in Phase 3. If you have to take an interruption before that time, you may find that you cannot stabilize later, or that you may not recover from the weight gain accumulated during the interruption. What Are the Benefits of a Planned Interruption? The most obvious benefit is to give you some social grace for traveling or events where it would be difficult to maintain the diet. If you follow the guidelines and time limits, it only affects your round in regards to the length of time you spend in the protocol. Please keep in mind that Dr. Simeons provided this method for unavoidable interruptions in his original Hcg diet protocol. It was not designed as an elective decision. However, some find it mentally refreshing to take a break and then re-enter Phase 2 (weight loss phase) with renewed resolve. It helps them complete a successful round and end strongly. Some think they lose more after the interruption. At the least, you won’t set yourself back if you do the interruption correctly. Others feel that they lose momentum with an interruption and struggle to get back on track afterwards. This would be the real danger of doing it unnecessarily. Since you cannot begin an interruption until a minimum of 23 dose days are completed, and 23 dose days are also the minimum round length, you do have the option to decide not to resume, and cut your round short. This is acceptable assuming you are stabilizing well on the P3 eating/food plan you used during the interruption and are happy with your progress. I hope this answers your questions and serves as a solid resource in your questions regarding breaks during Hcg treatment rounds. As you can see, there are quite a few rules that accompany the option of planning an interruption. 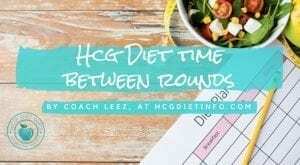 If you find you are still having questions or confused about the process, feel free to ask me in the Hcg Diet forums, where I volunteer. I will be happy to help you along your Hcg weight loss journey. This was something I was confused about so thank you for clearing this up!